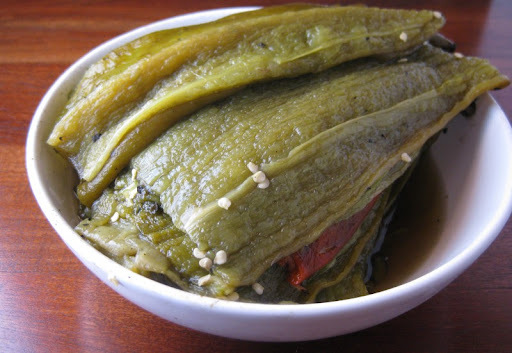 Wow, the chile rellenos look great! BTW, I made some of your chile de arbol paste and it's hot! I've been adding it to salsa and other stuff. Still need to make the taco shop hot sauce, though. Thanks, Carol - yes, the chile de arbol paste is super hot. Even our hot sauce, which is diluted considerably with tomato, is very hot. And our ranchera sauce - which is the hot sauce cut again with chicken stock and more tomato - is still definitely no slouch in the heat department. Lots of bang for the buck in those dried chiles! 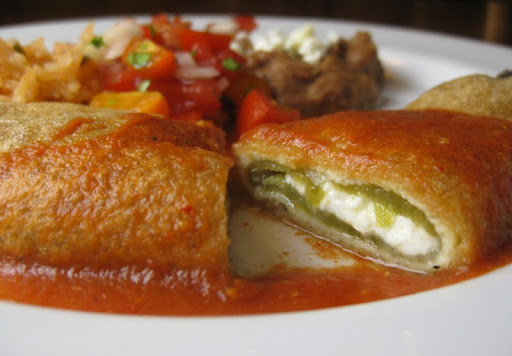 Your batter for the rellenos looks so fluffy! That's always been my bellweather dish for evaluating a Mexican restaurant. 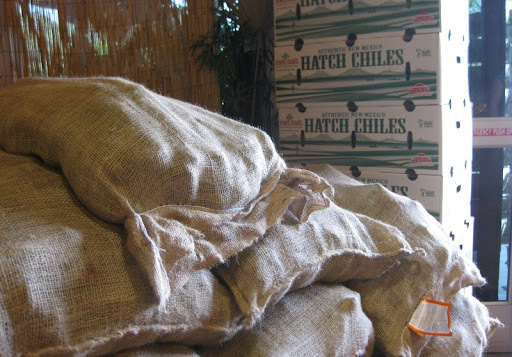 So were the Hatch chiles truly hot? Are they still available? I'm so happy to hear that you found a source here; usually my cousin from Taos serves as our "mule," bringing us a bag when it's the season. Hi Tina - we're the same way with evaluating Mexican places. 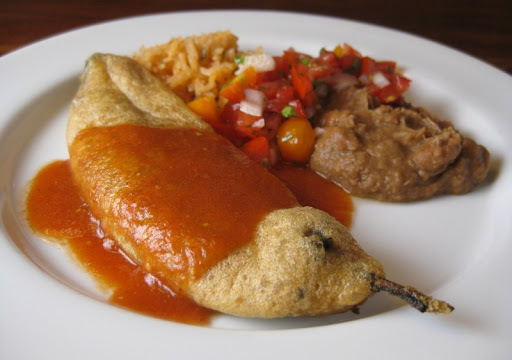 A good chile relleno can be hard to find. 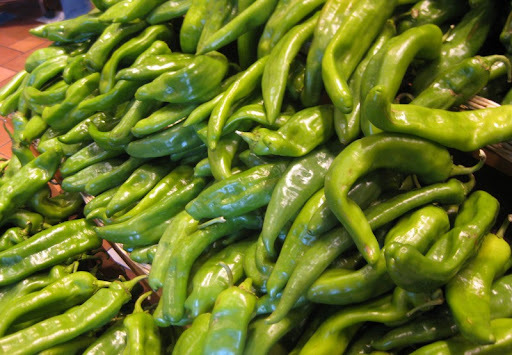 The chiles varied in heat. In general, the flesh was mostly mildly spicy, but the seeds and veins were extremely hot. 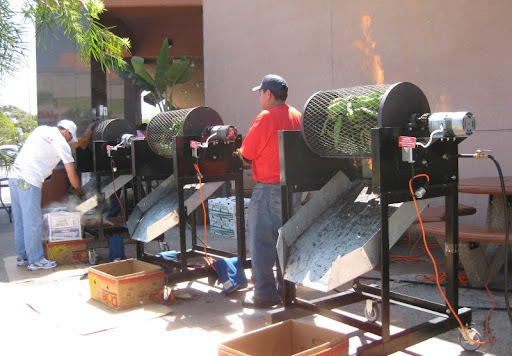 The roasting at Bristol Farms was a one-day event. 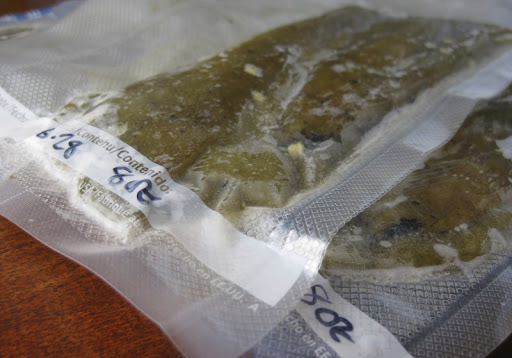 I'd guess that they probably still have packaged roasted chiles, though. Also, other stores may still have roasting events coming up. Albertsons (which is owned by the same parent company) does roasting days as well. The beans in the picture look nice, too. Do you have a recipe? If so, would you mind sharing? I've never been able to make a batch of refried beans that I'm happy with. I heard about that Bristol event! 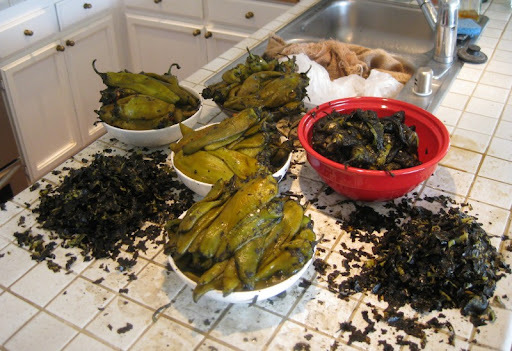 But wow, that looks like ALOT of work to prep the chiles after they are roasted! 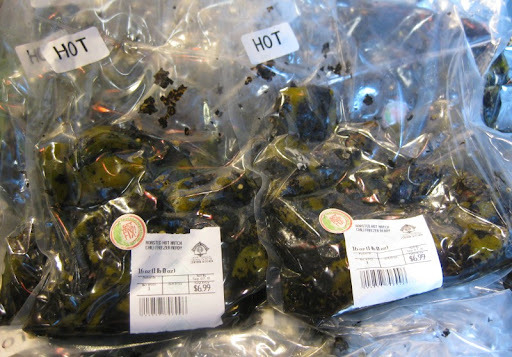 How spicy were the chiles? I've never found them to be quite spicy enough. 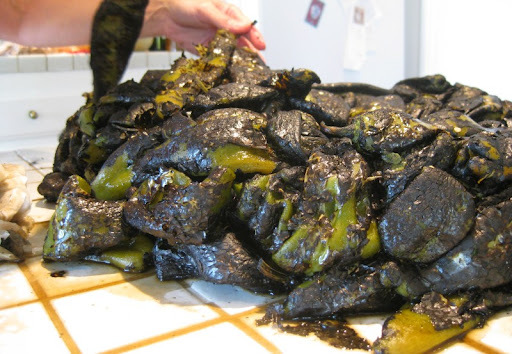 Hi Faye - it was quite a bit of work to process the chiles, but we've got plenty to last us until next summer. As for heat, the flesh on most of them is pleasantly spicy, but not super hot. The ribs and seeds are a different story altogether. I nearly burned my face off with a bite that had a chunk of rib attached. I thought about this post again the other day and had to revisit it. That closing relleno shot is just too awesome to forget. You guys went through a lot of work, but what enjoyment you will get. This gives me quite a bit SoCal envy!